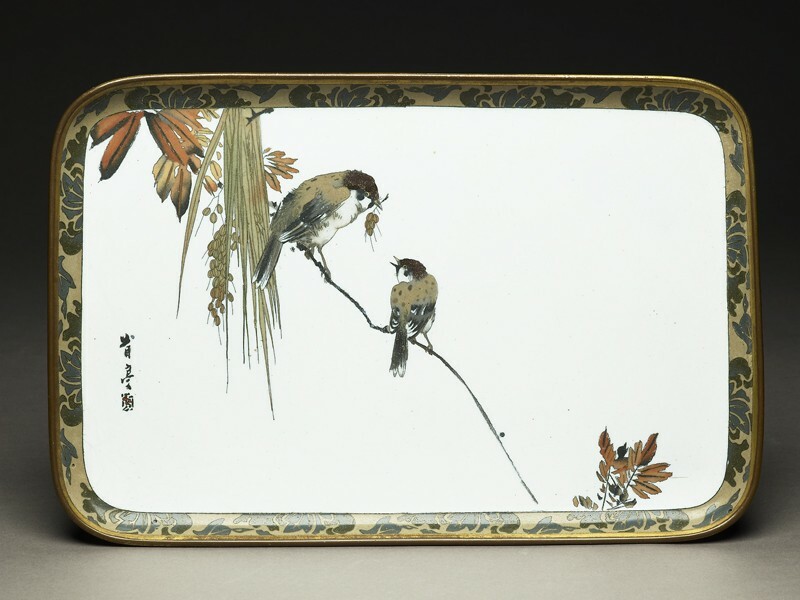 Rectangular tray with two sparrows, one holding a fruiting branch in its beak, perched on a bough, with a white ground surrounded by a foliate border. The reverse with clouds and stylised flowers on a turquoise ground. The tray unsigned; the image signed: Seitei with kakihan. Namikawa Sōsuke (1847-1910) (no relation to Namikawa Yasuyuki) was more of an entrepreneur than an artist, though he did have a more-or-less consistent 'house style'. He specialized in the use of less and less visible wire, making his work look as much like a painting on porclain as possible; indeed he both adapted the work of at least two painters on a regular basis, and produced cloisonné copies of famous historical paintings. 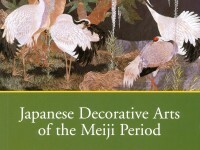 Frequently he collaborated with the artist Watanabe Seitei (1851-1918) [see also EA1994.35 and EA1990.4], whose signature would be found on the front of the work, while Sōsuke's would be found on the reverse. 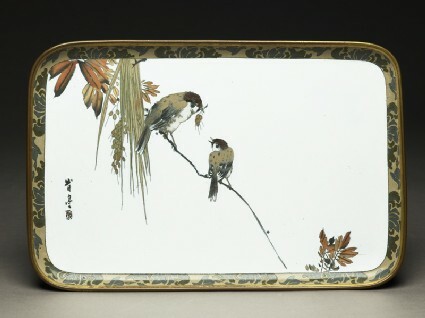 This tray is in Seitei's somewhat scratchy early style, contrasting with the slightly blander style of the following pieces.